Easter may be just around the corner, but it&apos;s not too late to make your plans for the holiday weekend. Ring in spring with some of these great events happening throughout Lehigh Valley including decadent brunch buffets, egg hunts for the kids, and so much more. Be sure to click through for details on all events. Keep in mind, reservations are strongly recommended for brunches, lunches, etc. Easter Festivities at the Lehigh Valley Mall: Visit the Bunny for a souvenir photo experience through Saturday, March 26. Easter Bunny Visits at the Moravian Book Shop: (Saturday) Stop by both the Allentown and Bethlehem locations for some adorable photo opportunities. Easter Bunny in a Helicopter at Tolino Vineyards: (Saturday) The bunny arrives in style, followed by a kid-friendly egg hunt at the vineyard. Hip Hoppity Movie Day at America On Wheels Museum: (Saturday) Enjoy a showing of the movie "Hop," free with museum admission. 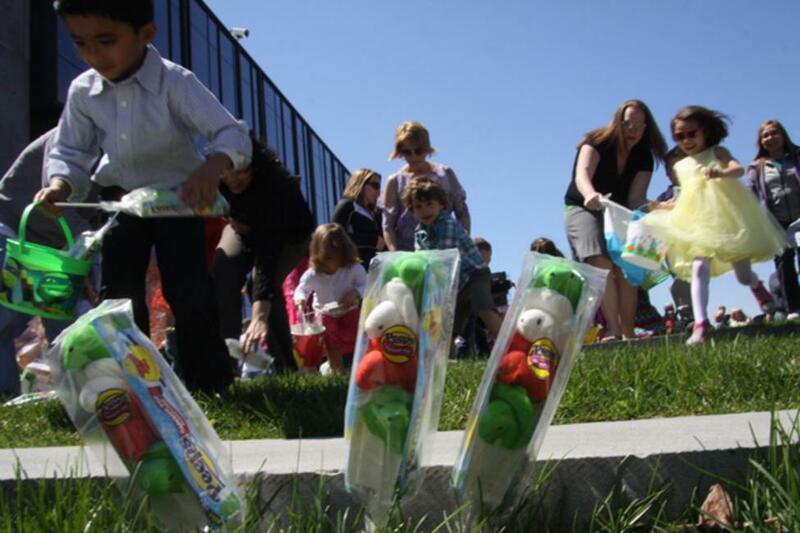 Hop Into Spring Egg Hunt: (Sunday) Don&apos;t miss a fun experience for all ages at the Lehigh Valley Zoo. PEEPS® Hunt: (Sunday) Enjoy a free PEEPS® Hunt for colorful Just Born PEEPS® Chicks at SteelStacks starting at 1 p.m.
Breakfast with the Easter Bunny at Iron Lakes Country Club: (Saturday) Enjoy a tasty brunch buffet, plus an appearance from the Easter bunny, cookie decorating, and more. PRIME Steak House: (Sunday) Choose between their special holiday menu, or their traditional dinner options. grain. Allentown: (Sunday) Enjoy a special Easter menu featuring brunch items from 11 a.m. - 6 p.m.
ArtsQuest Center at SteelStacks: (Sunday) Enjoy breakfast and lunch favorites at this Easter buffet. Bear Creek Mountain Resort: (Sunday) Take in stunning mountainside views will enjoying this brunch buffet. Blue Mountain Resort: (Sunday) Bring your family & friends up to the Slopeside Pub & Grill to enjoy our Easter Sunday Breakfast. Relax and spend time together atop PA&apos;s highest vertical! Hamilton Kitchen & Bar: (Sunday) Enjoy a menu of delicious options to celebrate the holiday. To stay up-to-date on fun happening in Lehigh Valley all year round, check out our full calendar of events.